To hear about Midnight Therapy’s next event, sign up for our newsletter below. Thank you for your RSVP and for getting down with Midnight Therapy! As a member of our newsletter, you’ll receive the latest on our events around town, plus new music and mixes from the residents and guests. Thank you! 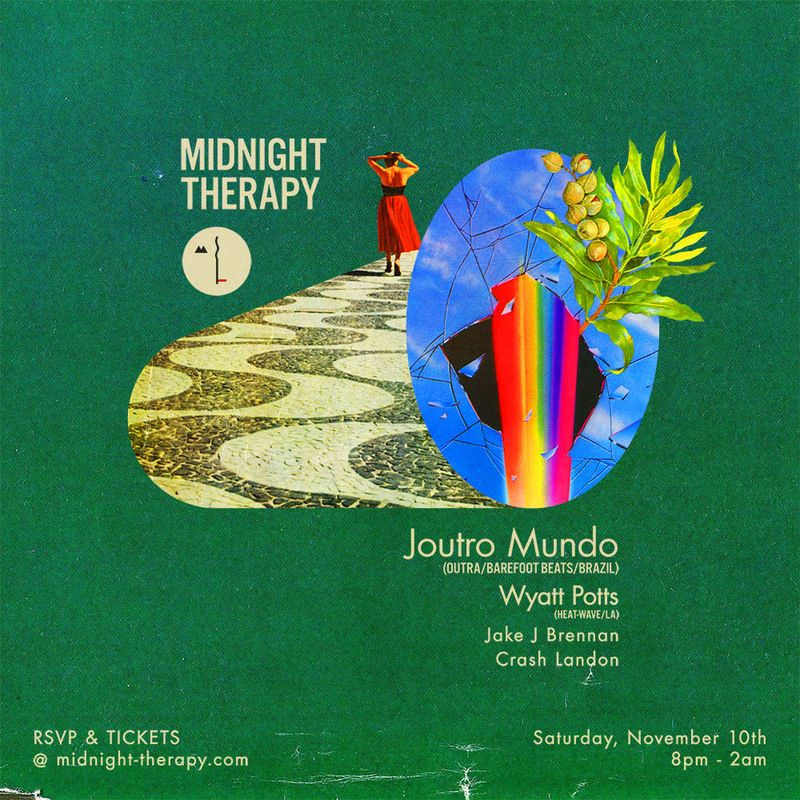 Midnight Therapy is a heightened loft-style music event, co-created and co-curated by Jake Brennan and Crash Landon, with an early-evening headlining guest, collaborative art, and a memorable lounge area. Guests should expect to hear top-level disco, house, and international grooves, alongside some of the best people in Los Angeles. In 2018, we had guest DJs visit from Brazil, Mexico, Detroit, and San Francisco. Midnight Therapy residents and organizers Jake and Landon have previously DJ’d at the Ace Hotel LA and Palm Springs, Tenants of the Trees, the Regent Theatre, Melody on Virgil, the Rose Room, and Departamento (Mexico City). Follow our @MidnightTherapy Instagram to see some of the excitement from past events, and to hear about upcoming DJ dates!